In fact the media campaign, aimed at attempting to undermine Miliband’s credibility as a leader, arose precisely because Miliband is the biggest threat to the UK power base and status quo that we’ve seen for many decades. He’s challenging the neo-liberal consensus of the past 30 years – now that is a plain indication of strong leader, and someone with personal strength and courage. As for the media, and the attempt at agenda-setting, well we’ve known for the past four years that there is now a big chasm between what is real, and what is deemed “newsworthy”. Because the mainstream media have no interest in public interests, only vested ones. It’s about time that we reclaimed our democracy and showed them that WE set the agenda, not overpaid and highly corrupted journalists and editors. Or monopolies like the wake of scandals that is News Corp. In his inspiring speech at the University of London, Ed Miliband said he would tackle a “zero-zero economy”, saying people were on so-called zero-hours contracts while the rich “get away with zero tax”. He talked about the Labour policy to defend our NHS – currently being fragmented by a privatisation programme that no-one voted for – which was particularly welcome, funded by a clampdown on tax avoidance and taxing hedge funds and cigarette companies. He said he would “I am willing to put up with whatever is thrown at me in order to fight for you.”, and that it was the party’s “duty… not to shrink from the fight, not to buckle under the pressure but to win”. This is a very strong indication of a very strong leader, who won’t be threatened or intimidated by Crosby’s dog-whistle, negative smear campaigning tactics. Miliband has indicated quite plainly that he intends to return to the “true soul” of the Labour Party, his frequent use of the inclusive word “together” putting social solidarity back on the agenda, and heralding a new politics of social and economic democracy. 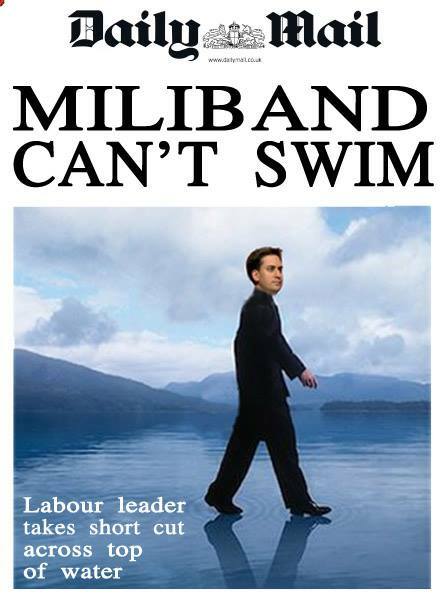 Miliband is about a politics where no-one is abandoned. Shadow health secretary Andy Burnham said there had not been a “shred of truth” in a newspaper story linking him with a leadership plot, calling it “pure fiction”. Speaking on BBC Radio 4’s Today programme, he said Mr Miliband had shown “courageous leadership” in the face of attacks from “vested interests” who did not want Labour to win. He added: “There has been a campaign in the last few days to destabilise and demoralise us. Miliband said Labour would talk about immigration: “but always on the basis of Labour values, not Ukip values.” He added: “We know that the deep discontent with the country gives rise to those who suggest false solutions. But unlike the Tories, what we will never do is try to out-Ukip Ukip.” I found this particularly reassuring, as a consistent reflection of traditional Labour inclusion, equality and diversity principles. Miliband certainly has the fight and belief in what is right to get into Downing Street, he is “driven by how we must change the country. That is why I am in this job, that is why it matters to me, that is what drives me on.” Quite properly so. He said he wants to be prime minister because the country was “deeply unequal, deeply unfair, deeply unjust”. This inequality is not some accident. It is driven by beliefs about how you run countries and how we should run Britain,” he said. The belief that insecurity is the way you make working people work harder. The view that low pay is the only way we can compete in the world. The idea that markets will always get the right outcome, even if that means powerful interests have all the power. The notion that we cannot afford decent public services when money is tight. And above all, the most mistaken view of all, that the success of the country depends just on a few at the top. And when they do well, everyone in Britain does well. These are the failed ideas of the past. This isn’t the speech of a “career politician”: it’s the speech of a partisan, conviction politician, Miliband is precisely the prime minister that this country so desperately needs. Meanwhile, Nick Clegg has ignored official rebukes from the OBR and ONS for telling lies, and has taken to the same tired old lying again, claiming that the previous Labour government “left the economy in a mess”. A remarkable comment from a deputy prime minister, who’s government have borrowed more in 4 years than the last Labour government borrowed in 13, and whose “Economic Plan” has depressed real wages for the past 4 years, causing extreme hardship, and the return of Victorian levels of absolute poverty and inequality, affecting many UK citizens. Perhaps Clegg is hoping the public have forgotten that it was the Coalition that lost us the Moody and Fitch triple A credit ratings, and not Labour. And in light of yesterday’s news concerning the foreign exchange fines, as banks were handed £2.6bn in penalties for market rigging, even George Osborne conceded that “Today we take tough action to clean up corruption by a few so that we have a financial system that works for everyone. It’s part of a long-term plan that is fixing what went wrong in Britain’s banks and our economy.” The recession in 2007/8 was caused by a global banking crisis which began with the collapse of Lehman Brothers, a sprawling global bank, in September 2008, which almost brought down the world’s financial system. Brown steered us out of that recession by 2010, and the Tories, with their bogus austerity plan, designed to reward the wealthy with more wealth, taken from the poorest, and least able to shoulder the burden of the cuts, put us back into recession. Tories ALWAYS cause recessions, just like Thatcher and Major did. Labour builds, the Tories always destroy. An excellent summary of Ed Miliband’s values and views: Here’s what I believe – “People sometimes say to me politicians are all the same. That couldn’t be further from the truth. So let me explain what I stand for, in the simplest terms”. 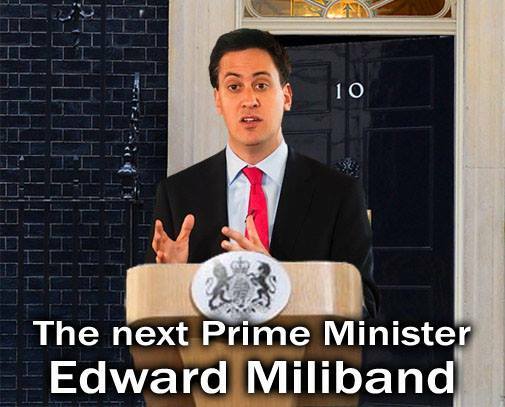 Ed Miliband is an excellent leader, and here’s why. Pragraph 3 ” Or monopolies the like wake of scandals that is News Corp. ” ? The most succinct description of why Conservatism creates inequality and fear & why Labour and Ed will reverse their damage. Will GPs be bribed to put you back to work? – Mike Sivier.